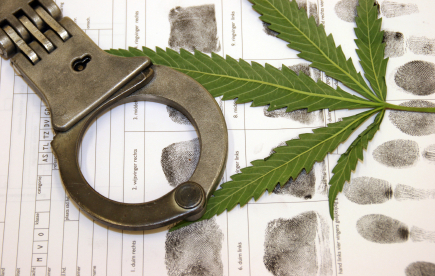 The Blog has posted numerous articles on the recent steps taken by the state legislature to lower the maximum punishments for possession of marijuana, and to partially legalize the drug for medical use. We have also posted about more progressive bills introduced by Baltimore area politicians, which received a great deal of support in Annapolis despite never crossing the governor’s desk. Senator Zirkin and Representative Morhaim both proposed legislation designed to decriminalize the personal use of marijuana in this year’s legislative session. The movement is gathering steam, but you wouldn’t know it by looking at the actual data. The fact is that arrests and criminal prosecutions for pot possession are on the rise in Maryland despite the efforts of lawmakers to curb these docket clogging cases. And perhaps the most staggering data is not the rising arrest numbers, but the fact that our state has per capita the third most marijuana possession arrests in the entire country. Closer inspection of the 2010 data reveals that Worcester County has the highest pot arrest numbers in the country for a county with a population over 30,000. This number is no doubt influenced by the obscene amount of Ocean City marijuana arrest during the summer months when the city doubles its police force by hiring truckloads of 21-year-old part time cops. But the highest per capita rate in the country? For a state that is moving toward decriminalization this is indeed shocking. Baltimore City ranks fifth in the country for per capita marijuana arrests, and this number was probably higher when O’Malley was mayor and instituted a so called zero tolerance policy. The number of city pot arrests has actually dropped about 20 percent, but there are still thousands per year despite recent changes in the legislature, which allow cops to charge possession cases by way of criminal citation. Both arrest and citation are ways to initiate criminal charges, but the citation is easier, faster, and cheaper. More importantly it saves the defendant from having to experience the booking process and a terrible few hours or sometimes days in central booking. You would think that cops would rarely arrest anyone for possession of less than 10 grams when they could simply write a citation, but this couldn’t be further from the truth. Maryland spends over $100 million per year to arrest, jail, and prosecute pot possession defendants, and there is no logical explanation why this number is still increasing. Especially considering the progress made in last two legislative sessions. Maryland is one of the more socially liberal states in the country, but anyone who has visited the courthouses on the Eastern Shore, or in the southern part of the state could argue otherwise. Marijuana is still treated as a drug just like cocaine and heroin, and those who use it even regularly are called drug addicts. Judges in these areas will practically laugh at you for arguing the medical use affirmative defense for marijuana possession, and jail time is never off the table for simple possession. Hopefully change is on the horizon, but it may take a decriminalization law being passed for pot arrest numbers to dramatically decrease, and that seems like at least a few years away. 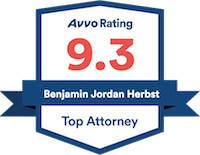 Benjamin Herbst is a marijuana lawyer specializing in possession, manufacture, and possession with intent to distribute. Contact Benjamin anytime for a free consultation about your case.